MOODY, TX — The end of a tough week ends with a service focused on forgiveness at Willow Grove Baptist Church in Moody. The Bell County Sheriff's Department is investigating after two teenage girls vandalized the Willow Grove Baptist Church near Moody on March 17. "You hear about these stories across the land but you never think it's going to happen to your small church in the country, said Pastor Steve Desjardins. Desjardins posted photos the damage on Facebook, asking the community for support and prayers. The photos show pews with paint splashed on them and trash thrown about in every room of the church. In some of the photos, you can see bibles and papers scattered everywhere. "It's shocking and surprising, but yet we understand that this can happen but we will grow stronger as a church and as community," Desjardins said. Desjardins said hundreds of people have reached out to him since, offering their time or donations to clean up the mess. "It's amazing to see the outpouring of love and compassion, continually receiving phone calls and text messages," Desjardins said. Treasurer Tom Gauntt discovered the vandalism after a neighbor alerted him about people coming in and out of the church on Sunday afternoon. "I continued to walk down the aisle and see paint spilled all over the place, on the walls, on the pews. Went to the kitchen found coffee grounds and sugar all over the floor," Gauntt said. Neighbor Joan Rushing said the crime came as a surprise. "We would have never expected that. In broad daylight on a Sunday afternoon," Rushing said. "It was just unreal. I mean I wouldn't think that I would see that in my little country church." On Monday, the congregation and members of the community went to the church to help with the cleanup. The teenage girls responsible for the mess were not charged or arrested. 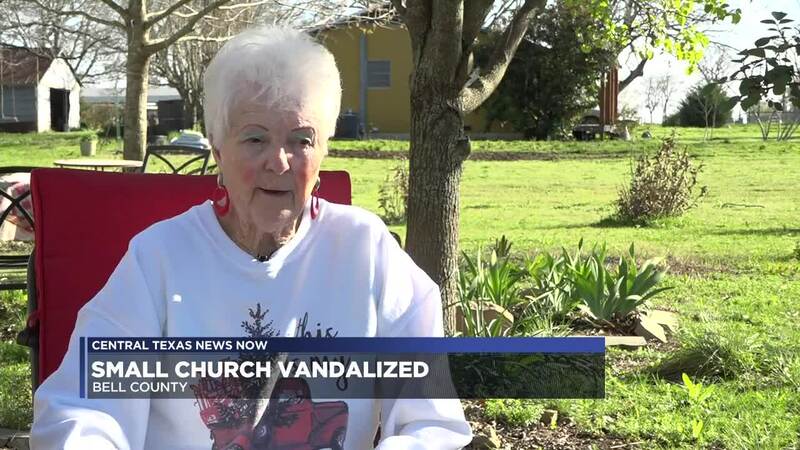 The church gave them a chance to right their wrong by cleaning up the place. "I am not angry at all," Desjardins said. "I've been visiting with the families involved this past week. I've had positive encounters with them. We've prayed together and I just pray that God's blessing be upon these families." The church was unlocked when the crime happened. However, Gauntt said from now on, they will ensure the doors are locked.